You are here: Home / Uncategorized / You Have Rights When Dealing with the IRS! You Have Rights When Dealing with the IRS! 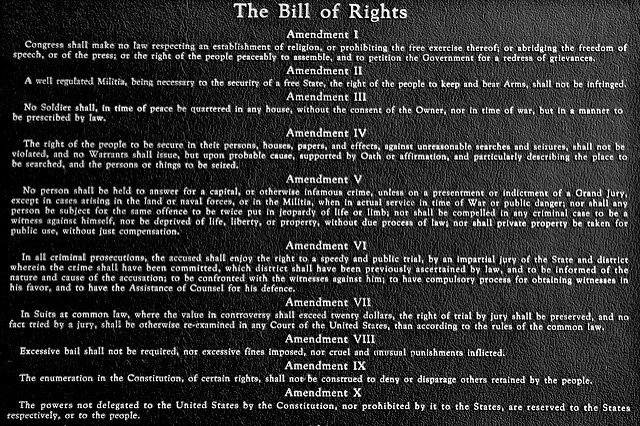 When dealing the the U.S. Government, you have rights such as the right against unreasonable search and seizure and the right to free speech as guaranteed by the Bill of Rights. Dealing with the IRS is no different but in addition to the rights guaranteed to you by the Constitution you have certain additional rights, aptly named the Taxpayer Bill of Rights. Nina Olsen, the National Taxpayer Advocate, advocated for years to have the IRS explain in plain simple terms the rights that each taxpayer has when dealing with the IRS and so in 2014, the IRS published the aforementioned rights, grouped into ten broad categories, such as the Right to be Informed. The Right to Be Informed. You have the right to know what is required to comply with the Tax Code. To that end, you are entitled to clear explanations of the tax laws by the IRS, to include IRS procedures, forms, instructions, publications, notices and correspondence. Finally, the IRS must inform you about any decisions it makes regarding your account and to receive a clear explanation of the outcome of their decisions. The Right to Quality Service. You have the right to prompt, courteous and professional assistance from IRS staff. Similar to the Right to Be Informed, you have the right to receive communications from the IRS that is clear and easily understood; if you receive inadequate service, you have the right to speak to a supervisor. The Right to Pay No More than the Correct Amount of Tax. You have the right to pay the right amount of tax (to include penalties and interest) and no more. You also have the right to expect the IRS will apply all of your tax payments properly. The Right to Challenge the IRS’s Position and Be Heard. You have the right to challenge any IRS determination in your case. You are to be provided an opportunity to provide additional documents in response to any formal or proposed action by the IRS. If you do object, the IRS needs to consider your timely objections and additional documentation in a prompt and fair manner; if the IRS disagrees with your objection, you have the right to receive a response from the IRS. The Right to Appeal an IRS Decision in an Independent Forum. You have the right to appeal an adverse IRS decision, whether it be to the IRS Office of Appeals or to court. The Right to Finality. You have the right to know how long you have to challenge an IRS decision. Conversely, you have the right to know how long the IRS has to audit your tax return or collect any taxes, interest and penalties due; if the IRS is auditing your return, you have the right to know the audit is finished. The Right to Privacy. You have the right to expect the IRS will respect your privacy. The IRS’ inquiry, examination or enforcement action must comply with the law and be no more intrusive than necessary. The Right to Confidentiality. You have the right to be protected from unauthorized disclosure of your tax information unless authorized by you or by law. If the IRS or third parties disclose your tax information you should expect the IRS will take appropriate action to punish wrongful disclose or misuse your information. The Right to Retain Representation. You have the right to be represented when dealing with the IRS, whether it be by an enrolled agent, CPA or attorney. The Right to a Fair and Just Tax System. You have the right to a tax system which considers all of the facts and circumstances in your situation fairly and which provides for a just result. If you are having difficulty dealing the IRS, you have the right to seek assistance from the Taxpayer Advocate Service. While this explanation does not put much meat on the bone, you can see in a nutshell what rights you can assert if the IRS takes an aggressive position in your case or unnecessarily delays action on your matter. I will leave a more in-depth exploration of these rights to a future post but if you want to know more about each of these rights you can follow this link to the Taxpayer Advocate’s website and read about each in more detail. If you feel you are not being treated fairly by the IRS, you should contact my office to learn about your rights. You can call my office at 207-299-0515 or by email using my contact form. Photo courtesy of Eugene Chan at flickr.